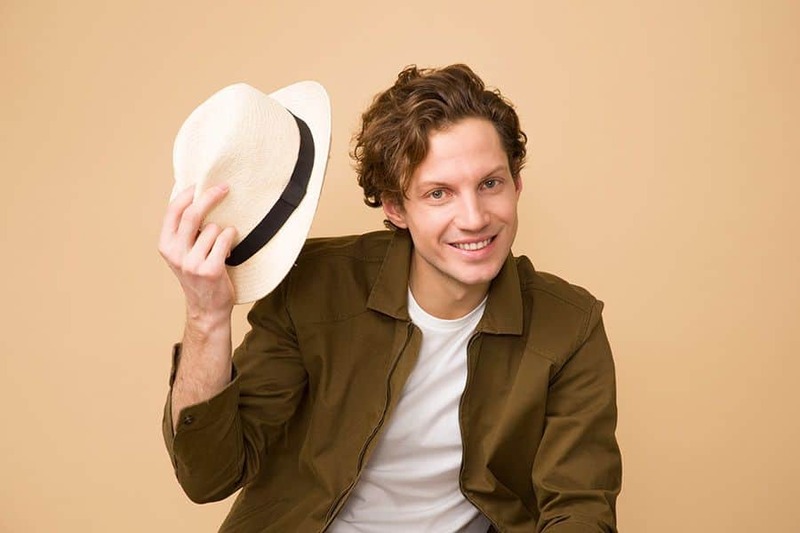 Wavy hair men may find their hair texture tricky and difficult to style. However, with the right cut, you can get your hair to the whole new level accentuating its defined texture and volume. You can play around with the length, color, accents and styling. To find out what hairstyle options your wavy locks offer you, check out our ultimate collection. There are times when wavy hair men wish they had another hair texture, more ultimate, like straight or curly. However, we strongly believe that they simply underestimate what nature blessed them with. Wavy hair allows you not only to choose the style that matches your face shape perfectly but also obtain another texture by straightening or curling your thatch easily. However, the wavy hair structure itself is very versatile and offers you a broad range of trendy men hairstyles. To find out your options, check out our collection of the latest hair designs for wavy locks. One of the ways how to get wavy hair rather than a stack of hay on your head (especially when it’s humid) is to use a conditioner instead of a shampoo. Also, cut down on heavy hair styling products and stick to creamy textures that suit your hair type best. Finally, find the barber who knows how to deal with your tricky thatch not only by giving you one of the short haircuts for men but also by styling your hair in the most flattering way. 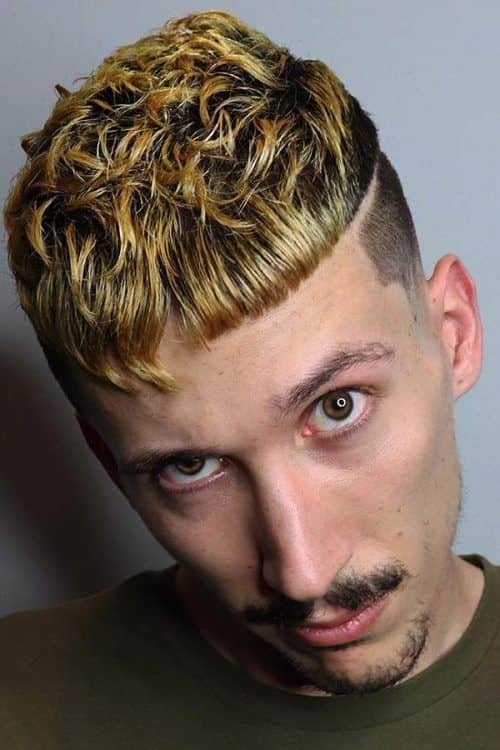 Arguably, the best thing about having such a hair texture is that there are a bazillion wavy hairstyles for men on the market. So, let’s take a closer look at the best options. If you don’t have much experience in styling your wavy locks yet, start off with the basic men’s haircuts. Try out a true staple of wavy short haircuts for men, which is a textured crop accentuated with a low fade. Wavy haircuts can be easily transformed into any other trendy short mens haircuts. Leaving a bit of length on top, you can opt for a side part paired with any of the mens fade haircuts on the sides and back. Wavy slicked back hair gets an unusual twist thanks to its texture and definition. Partner it with any of faded haircuts for men on the sides and back for easy maintenance. 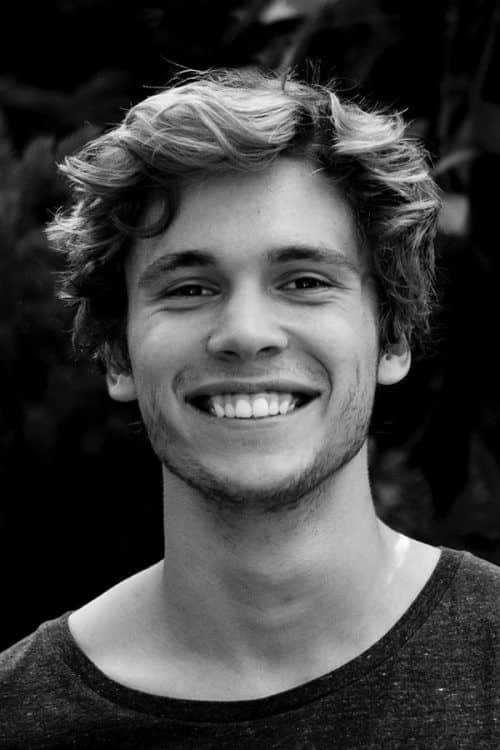 Short wavy hairstyles for men look exceptionally satisfying when they’re thick and voluminous. 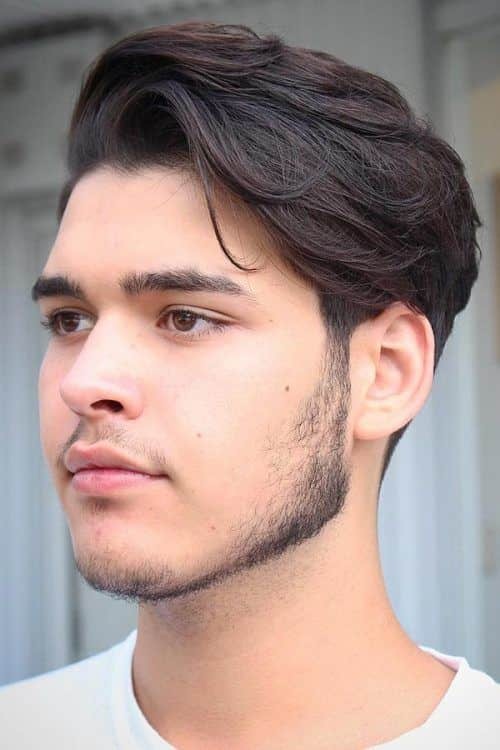 Go for crop mens haircut styles if you have a full head of wavy hair. On the back and sides, get something neat and stylish, like a drop fade. Altogether, you’ll get one of the best cuts for wavy hair men. When you undercut long hair, it allows you to show off your mane without making much effort. An undercut makes any of the guys haircuts for wavy hair low-maintenance and easy-wearable. 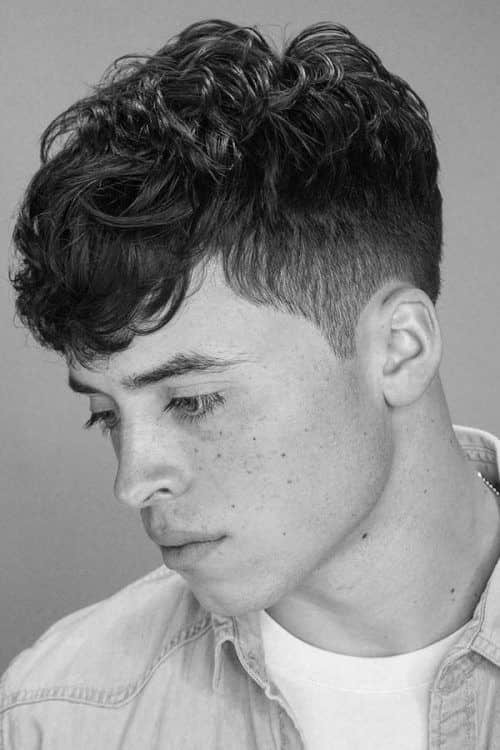 It would be a shame not to try one of the best haircuts for men with wavy locks, which is high and tight. Being originally one of the most recognizable military haircut styles for men, it has morphed into an extremely popular civilian hairstyle. The main feature, however, remains the same: the top should be cut longer than the sides and back. 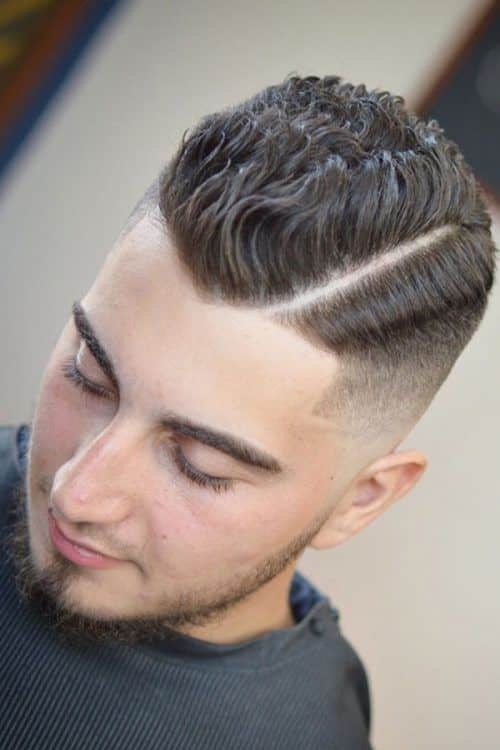 The faux hawk fade on wavy hair gives you everything that popular mens haircuts should give – trendy sharp look, individual style and pretty low maintenance. Oftentimes, even the best short haircuts for men with wavy thatch can look a bit messy and scruffy. If you opt for a medium length, you should add some definition to it. 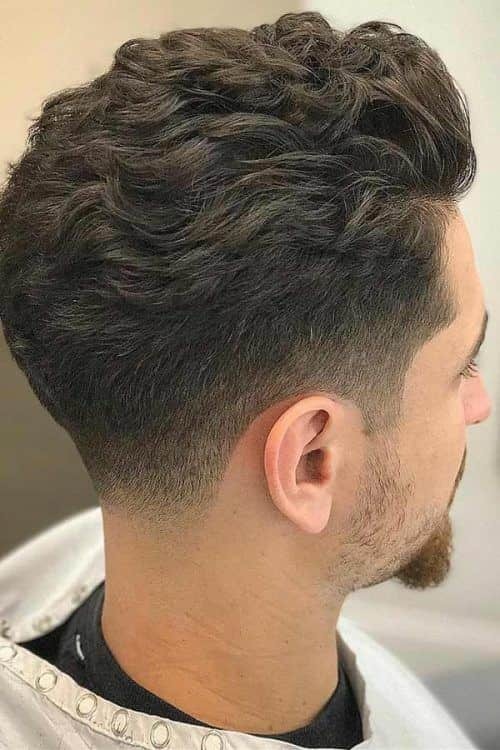 A fade and line up work just fine for wavy mens hair cuts. A men’s haircut with a wavy fringe not only looks textured and dimensional but also helps you to disguise a prominent forehead. A low fade on the sides and back allows messy hair men keep their locks in check. 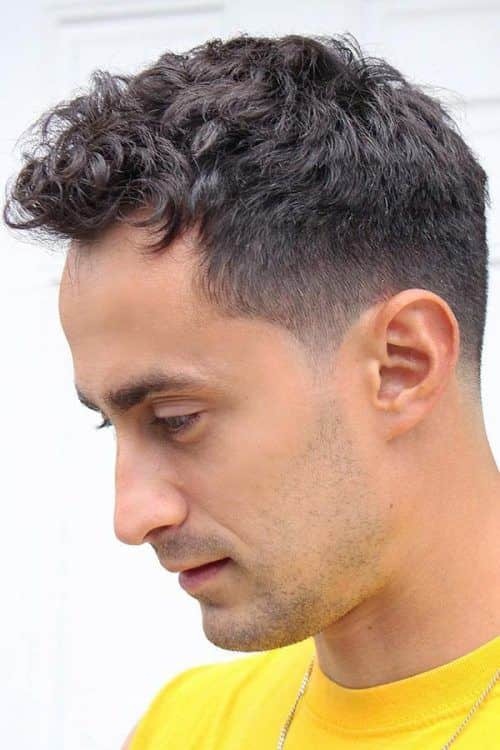 The short sides long top wavy man haircut is incredibly versatile. The hair on top can be styled in multiple ways whereas the sides and back can be given any tapered hair cut for men. The only rule to follow is to keep the contrast between the top and the hair around the head noticeable. 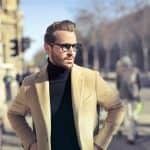 Men’s short haircuts can also look elegant and neat on wavy hair men, such as, for instance, a comb over with a shaved-in side part. If you undercut the bangs and push them forward, you’ll combine two barber trends in one cut for short thick hair – a fringe and crop. Short wavy hair already looks defined and textured without additional details. Wavy hair men may want to accentuate their natural hair texture with a taper hair cut though. To get the surfer hair look, which is truly one of the best hairstyles for wavy hair, you don’t have to spend hours on the beach (even though it’s always a nice thing to do). The salt spray will help you create the hair style men usually attain with the help of salty sea water and scorching sun.